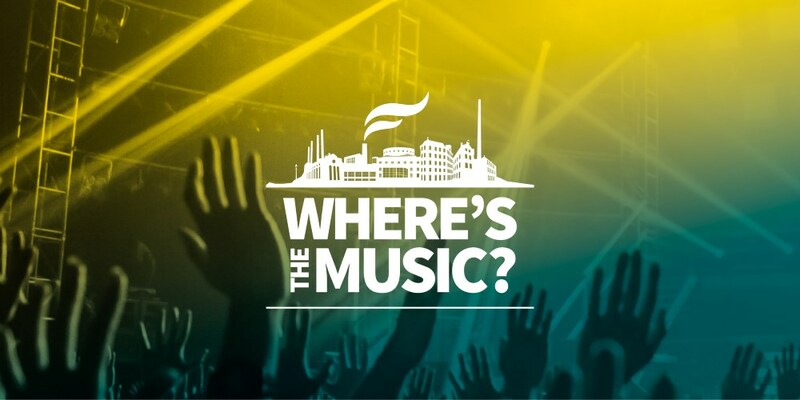 Second Wave of Acts for Where's the Music? The second wave of acts include; Silvana Imam and Young Lean & Sad Boys, Style of Eye, and dance pop duo Sharks, with rock'n'roll courtesy of Heavy Tiger and electro pop singer songwriter Ninsun Poli. Where’s the Music? present six new acts to perform at the new festival in Norrko?ping, Sweden from 12th – 14th February 2015. Showcasing the wide variety of home grown talent and celebrating what Sweden is best known for – great music, the second wave of acts include; Silvana Imam and Yung Lean & Sad Boys - two of the best and most exciting Swedish Hip Hop acts, the King of Dance, Style of Eye, and dance pop duo Sharks, with rock'n'roll courtesy of Heavy Tiger and electro pop singer songewriter Ninsun Poli. Where's The Music? is a new event with two purposes, one obviously being the music where the aim is having new artists in focus presented to a curious and excited industry ready to get support new projects. The other being a comprehensive conference program exploring subjects related to the music industry. The festival will include artist performances as well as lectures presented by people in the music industry, sharing their stories and experiences. The combination will make a platform for networking, where the national and international music industry will exchange experiences and ideas, discover new artists and find new collaborations through networking. Taking place in various public locations in the unique area called Industrilandskapet in the central of Norrko?ping, Where’s the Music? aims to be one of the most important meeting points for European music industry, where they can meet the Swedish industry and make great things together. The live music focus will be on Swedish artists, but there will also be room for international music, where visitors can discover the stars and sound of tomorrow. With a communist father from Syria and a politically conscious mother from Lithuania, socialism was very much a part of her upbringing. But when Silvana’s parents spoke of poverty and injustice, it came off as boring. When she heard The Fugees at age seven – and found out about Xzibit on a trip to New York as a nine year old – it all made sense. The way The Fugees talked about politics and Xzibit’s mixing in of classical elements on “Paparazzi” got her hooked. Classical music and the Lebanese singer Fairuz was being played at home. To mix genres and add conscious lyrics to great beats became a whole new way for Silvana to look upon music and the world. Initially, she called herself Silvana Solo, but changed it to her given last name, Imam. (In Arabic, Imam translates as “the one who stands in front,” and is a religious leader or expert in Islam.) She’s labelled a Swedish hip hop artist, but it is probably more accurate to call her a rapper who raps over different music. She listens to everything – from Drake and Jay-Z to Antony & The Johnsons, CocoRosie, Banks and Swedish indie pop acts Håkan Hellström and Kent. On one track from her debut album, “Rekviem”, you can hear her rapping deep, personal poetry over church bells. Her latest EP sees her referencing Simone de Beauvoir, Valerie Solana and the Swedish feminist party leader Gudrun Schyman. As you might expect, her shows are hardly conventional. In a mask and a sort of superwoman outfit she enters the stage with her fist in the air. One critic described it as “the wildest and most punk rap show I’ve ever seen.” Either way, it’s not music that can easily be ignored. Everybody who has heard her – even the ones who don’t like it – seem to agree that she’s got that “something.” The rest of the world seems to be catching on to as well. Even though she raps in Swedish, the latest single “Imam Cobain” has gained higher numbers of listeners in the United States on Soundcloud than in Sweden. It’s a far cry from her first performances at house parties, where she’d rap her own verses written the night before over Drake and Jay-Z instrumentals. Nowadays, Silvana works closely with the management team and record label, Respect My Hustle, based in Stockholm. With their support, Silvana now sees no boundaries. Silvana Imam landed two tracks on the Swedish Radio top 50 (#31 and #1) earlier this year. She has quickly grown to be one of the biggest female voices and rap forces that sweden has to offer. Her Soundcloud track has more listeners over the Atlantic than back home. Silvana is currently on her first swedish tour and is also opening for Mando Diao at Annexet. She is preparing to release a new single later in November and her second EP is slated to be released in Februari. Silvana is a favourite candidate during this 2014?s Grammis and P3 Guld awards. In January, Style of Eye made a huge impact at P3 Guldgalan, when he performed his new hit song “Kids”. The award-winning DJ and producer has won both a P3 Guld award as well as a Manifest-award for his classic house. During 2013 his songs got over 85 million streams on Spotify. 2013 was the year of his big breakthrough. During the summer he went on a celebrated tour in Sweden, and at the same time Icona Pop's “I Love It”, which he wrote and produced for them, sold two million copies in USA, reached 1:st place in Great Britain, and got on the top 10-charts in 14 different countries. The same year, he also released euphoric dance hit “After Dark” with Tom Staar, “Taken Over”, with Rebecca & Fiona, and in the end of 2013, he released the cocky hit single “Kids”. In 2014, Style of Eye will release a new album and continue his collaboration with legendary producer Max Martin. He divides the Hip Hop community into two camps. They who embrace the new and see opportunities, and the conservatives who see progress as a threat. In other words, everything is as it should be when a new successful artist does not fall in line with the established codes. And let us remember: if Yung Lean's music was not so widely beloved, we would not have this debate to start with. Back home in Sweden he was nominated in the category Hiphop/Soul at P3 Guld 2014. However, he is more at home in the US, where he had a tour sold out, been hanging out with Justin Timberlake, and as one of very few Europeans, he has been nominated in the Hip Hop magazine XXL's prestigious Freshman Class. But talking nationality is actually quite unnecessary. Yung Lean is rather an international phenomenon – who lives online, raps about being online, and who is consumed online: the music video to Kyoto has over 4 million views, and Yung Lean's Soundcloud account has over 100 000 followers. Yung Lean & Sad Boys have been praised for their live shows all over Europe and North America (among other things, they got an amazing review of the tour premiere in The New York Times, and a long story in The New Yorker). Heavy Tiger is the outcome of one pure mission in the mind of guitarslinger & singer Maja Linn: to form a Killer Rock ‘n’ Roll Band! Premium songs, unique style, uncompromising live performances and true ambitions were the ingredients to build it all upon. No band member was allowed to be short of dedication, or talent for that matter. Luckily this crazy rock ‘n’ roll heart eventually found her sisters in arms. Drummer Astrid Carsbring and Sara Frendin on bass, both truly good musicians, were just the right people to team up with. They soon became close friends as well and Heavy Tiger was a fact. The year was 2010 and the girls turned 17. This three piece chic band apart from Stockholm, Sweden, is doubtlessly both an impressive and unique act. Don’t get caught mistaking them for being just a jangly mismatch of young girls and guitars. You’d be embarrassingly dead wrong. Because this is for real! This is as good as rock ‘n’ roll gets! Through these years they have played a lot of shows all over Scandinavia and some in the UK, always to the amazement and delight of the audience. Some say The Runaways in their heydays, but think KISS meets Thin Lizzy delivered by The Clash and you would probably be closer. Honestly, their songs are addictive and their dedication on stage unmistakable. It shows that it’s all from the heart. Delivered from the hip. In other words the only way it can be done, to be done right. When you hear it, you’ll know it! Don’t have to figure it out. The year was 2005. Ninsun released her debut EP “For Real”, and she had a promising bright future ahead. The live debut took place at Hultsfredsfestivalen in 2004, and in 2005 she was the warm up act for The Fugees. Through her friendship with Johan T Karlsson, a.k.a Familjen, she got to tour Europe with him, as a part of Familjen. Hopefully, you have both seen and heard Ninsun on some occasion through the years. But regardless of in which context you previously encountered Ninsun Poli, it is now time for something totally different. After releasing the celebrated debut EP “For Real”, she got tired of music, lost her will to write new material. She recorded an album in L.A, but was not satisfied with it and did not release it. After passing time at regular jobs, she got her desire to write, record, and perform back. That, along with her collaboration with Familjen, led towards a resurrection. Suddenly she got to display a whole new side of herself on stage, and that became the starting point to some new songs. She found her inspiration in her everyday life, as well as in some music, both old soul funk as well as newer music. She has been writing through the last 1,5 years, mostly together with her brother. When the time came to record the result, they did it together in their living room, and then Ninsun went to Johan T Karlsson to get help with the final production of the recorded material. This April the EP “Breaking Rules” was released, with “Hey Lover” along with three new tracks. To talk about a new debut of an artist who released her first EP in 2005 does not feel entirely right. But in a way, it is a new debut. This is a new start for a whole new take on an artist you have probably already heard, and even seen on stage. Ninsun Poli performed, among other gigs, on The Great Escape in Brighton, Kentfest, and Storsj?yran this summer. Swedish duo Sharks will shake the foundations of the music community in 2014. They were discovered at the annual Electro party “25 Hour Party People” by Dance Music star Linus “Style of Eye” Ekl?w, who immediately signed them to his label Front of House. Sharks' high energy electro pop debut is being released in the beginning of 2014. The DJ and producer duo Sophia Englund and Susanna Friberg in Sharks got to know each other when they went to the same school and had each their own music blog. They spent the evenings and nights DJ:ing, and the days creating music. When they made the decision to make a career out of their great passion for music, it did not take long before they started to make songs together with music producer Svidden. Sharks' high energy Electro Pop debut is being released in 2014.